In retail, size matters in an extra-large way. If you're a small apparel business, playing a guessing game when it comes to sized merchandise can be very dangerous to your inventory eco-system. It's important to look at the current and historical insights to determine your best-selling sizes, sales trends and seasonal patterns that will help you order your the right clothing sizes in a balanced, efficient way, and this great infographic illustrates some best practices on that front. Here are a few interesting points from Stitch Labs' research that might surprise you—and some tips you can put into practice today! -XS sizes return almost double the revenue in comparison to XL and XXL. Unfortunately, I think we just found a clue as to why plus size women have such a hard time finding cute clothes. -This one's not a surprise, but we can't stress enough that up to 90% of expenses for small businesses are inventory-related costs. That means it's all the more important to manage your inventory in the best way you can, or 90% of your business might fail. -Forget the traditional 1-2-2-1 ordering ratio (one small, two mediums, two larges, one extra-large). Their research uncovered a more successful ratio that could mean less unsold merchandise and maximized revenue. The original ratio never gave insight to XS and XXL sizes either, so theirs gives a complete picture. Check out the distribution below—it's quite helpful! 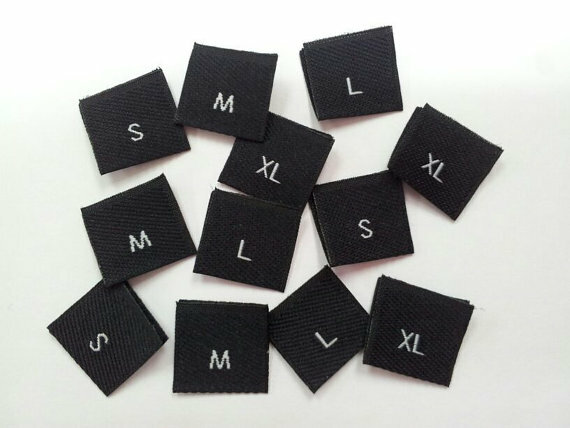 -Spelling out your sizes on price tags and labels? Stop that noise right now. Research shows that customers overwhelmingly prefer abbreviated letters (S, M, L) versus words. Letters-only tags generate 38% more sales. That's a small change that can make an extra-large difference. What are your biggest challenges when it comes to sized apparel? Let us know in the comments!